Vada Chennai is easily one of the most-anticipated movies of this year. Directed by Vetrimaaran of Visaaranai fame, the film has Dhanush in the lead role. The teaser of the film is now out and, we must say it looks interesting and intriguing all the way. Vada Chennai will be the third collaboration between the director-actor duo who have earlier worked on Pollathavan and Aadukalam, which got Dhanush six National Awards, including that of Best actor. 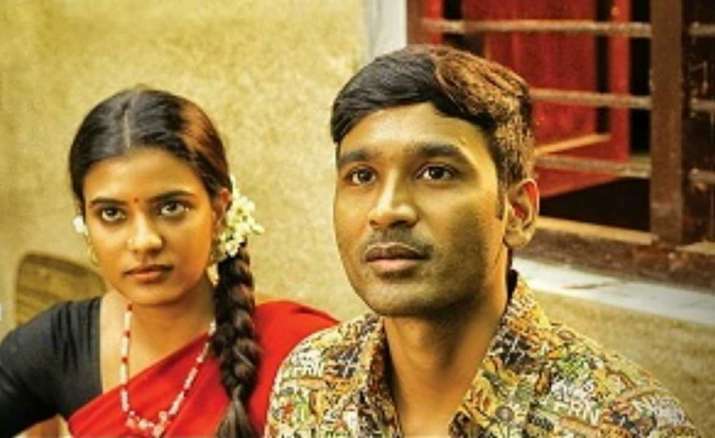 “The frames, the tension, the intensity coupled with the striking background score… Teaser of Tamil film #VadaChennai is truly attention-grabbing… Stars Dhanush… Directed by Vetri Maaran”, said film critic and trade analyst Taran Adarsh. Santhosh Narayanan’s effective score makes us uneasy — it chills your bones, screaming of an impending doom. Moreover, the music is also in perfect sync with the stylised editing. In an interview, Dhanush revealed that the film is currently on the editing table. Given that Vetrimaaran is very particular about the output, he is taking his own time to finish the work. Vada Chennai is the story of a north Chennai gangster. It is rumoured that the film will show the rise and fall of Dhanush as a gangster. Earlier, Vijay Sethupathi was supposed to play a lead role in the film, but due to the delay in the project, he backed out of the project. Director-actor Amir replaced him. The film also stars Aishwarya Rajesh, Andrea Jeremiah, Samuthirakani and Kishore in key roles.